risk of serious intersection car accidents. Continuing from Intersection Car Accidents (Part 1), the following provides some more information regarding the causes and effects of intersection car accidents. While the first part of this blog was focused on discussing some specific intersection car accident statistics that were compiled by the National Highway Traffic Safety Administration, here in Part 2, we will take a closer look at various types of driver negligence that can contribute to these types of motor vehicle accidents. Driver inexperience – Younger drivers who lack experience behind the wheel typically have an increased risk of misjudging intersection signals, other drivers’ actions and the time needed to perform certain maneuvers (like left-hand turns) in intersections. Additionally, driver inexperience can make it more problematic for younger drivers to safely operate vehicles when there are poor weather conditions, intersection signals are not working properly or other unideal driving conditions are present. Driver impairment – When drivers are under the influence of alcohol and/or any type of drug (including over-the-counter, prescription or illegal narcotics), they will likely have an increased risk of having slower reaction times to changing driving conditions. Additionally, impaired drivers will be more likely to miss important visual cues when driving (like, for example, not seeing a signal change from yellow to red or not paying attention to when other vehicles’ brake lights have been applied). Driver distraction – Whether it’s a cellphone, a GPS, a CD player or some other device within a vehicle, driver distraction is a serious problem that can significantly increase the risk of serious car accidents at intersections. Have you or a loved one been injured in an intersection car accident – or in any type of motor vehicle accident? 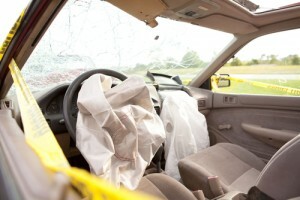 If so, contact the St. Louis car accident lawyers at Brown & Brown Attorneys at Law. We have a long-standing commitment to serving our clients, and we are experienced at aggressively defending our clients’ rights in any legal setting. Our goal is to preserve and promote the rights and welfare of individuals and families who have suffered injuries and losses and/or who need help navigating through the complexities of the court system. Since 1993, our lawyers have been successfully representing our clients in various areas of personal injury litigation, including car accident lawsuits. Our unwavering dedication to the pursuit of justice in every case we handle means that we will work relentlessly to help our clients achieve the best possible outcomes to their cases. One of our primary goals is to help accident victims secure the maximum possible compensation for their injuries and losses so they can focus on their recovery and moving on with their lives.